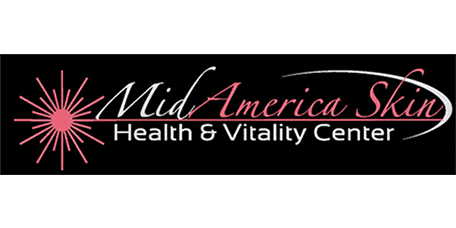 At his practice, MidAmerica Skin Health & Vitality Center, Dr. Muccini helps people with fine lines, discoloration, and rough spots obtain the skin they desire using innovative chemical peels and facials. People throughout Chesterfield and the St. Louis area can visit Dr. Muccini for treatments suited to their unique needs. A chemical peel is a cosmetic procedure used to help restore the appearance of skin on the face, hands, and neck. A chemical peel works by employing a solution applied to the skin, which causes it to exfoliate and shed damaged cells. There are three types of peels—superficial, medium, and deep. Other facial treatments are available as well. Some options are designed for more sensitive skin that would not react well with the chemicals used in a chemical peel. For more information about other available facial treatments, please contact the office. When Should I Choose a Chemical Peel? Superficial peels require 1 to 7 days to heal. The skin may be red and dry. Lotions can be applied until skin is fully healed. Sunscreen must also be worn. Makeup can typically be used the day following treatment. Medium peels require approximately 7 to 14 days to heal. Swelling is common, and the skin must be soaked daily in the beginning. An antiviral medication may be prescribed and an ointment will be applied. The sun must be avoided throughout the healing process. Camouflage makeup can be used after 5 to 7 days. Deep peels require 14 to 21 days to heal. The skin will be bandaged and will be soaked 4 to 6 times each day. The ointment will be used for 14 days followed by a thick lotion. Antiviral medication may be prescribed and sun exposure must be avoided for 3 to 6 months. Camouflage makeup can be used after 14 days.